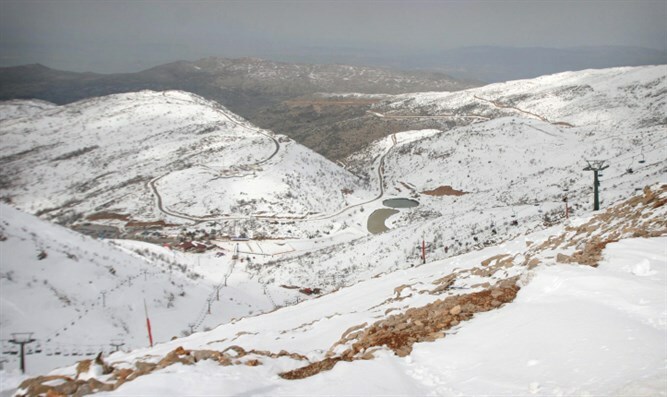 Hermon opens to visitors, offering free entry after 2 cm of snow fell overnight. Snow fell in the Hermon on Wednesday night, with the lower slopes receiving two centimeters (0.8 inches). The site is now open to visitors, who may enter free of charge. Thursday morning will see light rainfall in Israel's north and center. There will be a slight drop in temperatures, which will remain cooler than seasonal average. Thursday night will be colder than seasonal average, and frost may form in the valleys. Friday will be pleasant and may be partly cloudy. There will be a slight rise in temperature, but temperatures will remain below seasonal average. There may be frost in areas prone to it. Shabbat (Saturday) will be pleasant, with a rise in temperatures and a drop in humidity. During the morning hours, harsh eastern winds may blow in the northern mountains. Sunday will be cloudy, with a rise in temperatures. Harsh eastern winds may blow in Israel's north and mountainous areas.